Samsung has been unveiling a multitude of new things at CES this year. Among the many new and exciting unveilings is a new trick that Samsung is teaching it’s personal assistant. Bixby has quietly been learning how to count the calories in your food via Bixby Vision. 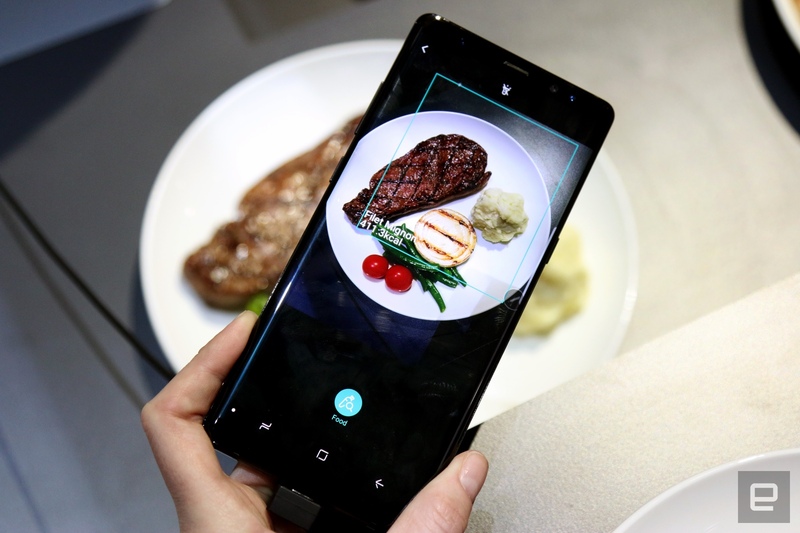 Samsung says the feature works by pointing the camera directly at an individual food item, which Bixby will then identify, analyze, and then calculate the amount of calories using generic data for the food item. Obviously, many people have their own recipes for specific dishes, therefore it will not be entirely accurate, but it will give a basis for understanding. Representatives did mention that the data collected via Bixby Vision will be synced with Samsung Health to not only allow one to track their calorie intake but compare it with their daily calorie burn. This would definitely simplify the process of scouring Samsung Health for each of the ingredients within your food, which I have experienced firsthand. It would also be a nice addition to the growing suite of features Bixby offers. The feature is in experimental stage currently and Samsung has not confirmed when or if this feature will indeed make it to Galaxy smartphones. Nonetheless, it is nice to know that Samsung is actively working to improve Bixby as evidenced by this unveiling and last month’s acquisition of South Korean startup Fluently.